We surveyed our clients and 40% say they would pay their fee’s/invoices monthly if they had the option presented to them. FlexiFee IT is a cloud-based software that incorporates all the systems, procedures and documentation you need to offer payment arrangements to your clients. Our payment plan solution provides all the tools you need to deliver a higher quality of service and giving your customers more payment choices. 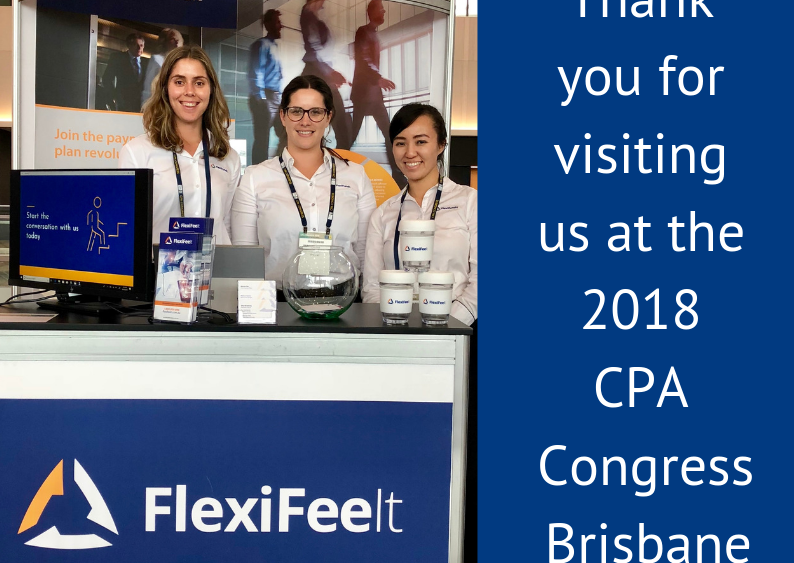 The FlexiFee It team had a fantastic time at the 2018 CPA Congress in Brisbane last week. We would like to thank each and every one of you who stopped by and had a chat about what FlexiFee It has to offer. 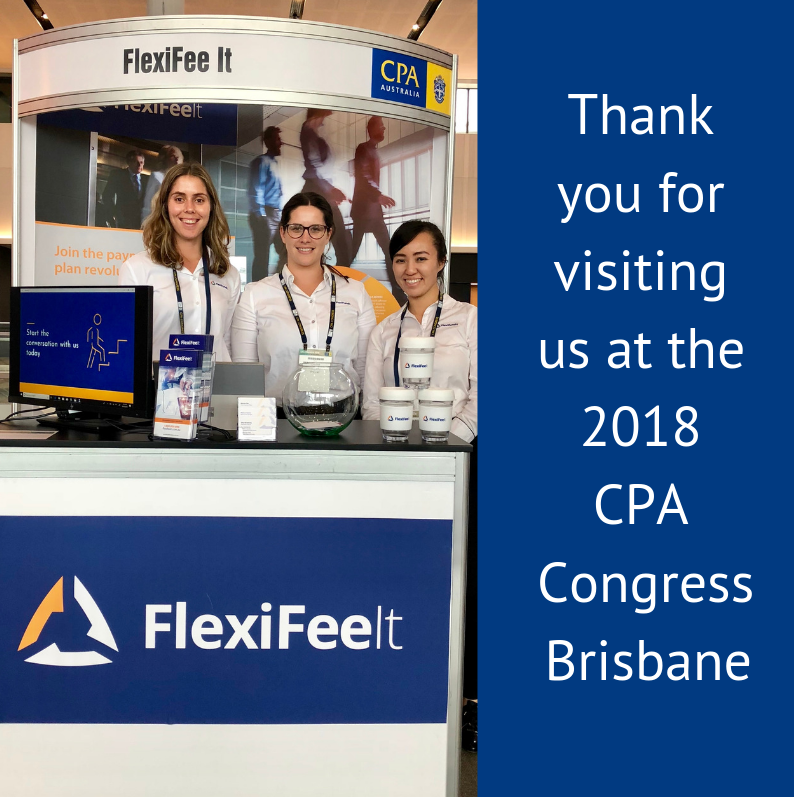 With over 1,000 delegates, CPA Congress Brisbane has provided us with many exciting opportunities. Congratulations to the winner of our giveaway Graham Caldwell from Fortis Group. We hope you enjoy morning tea on us! 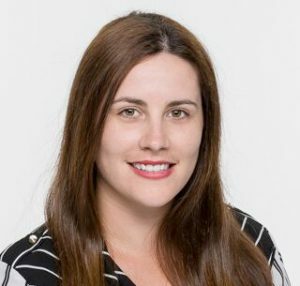 Join the payment plan revolution and start the conversation with Rebecca today!